Intergulf is excited to present the second and final tower of Hunter At Lynn Creek. A true landmark to the North Shore community, a collection of 1, 2, 3 bedroom homes and townhomes are coming early Spring. 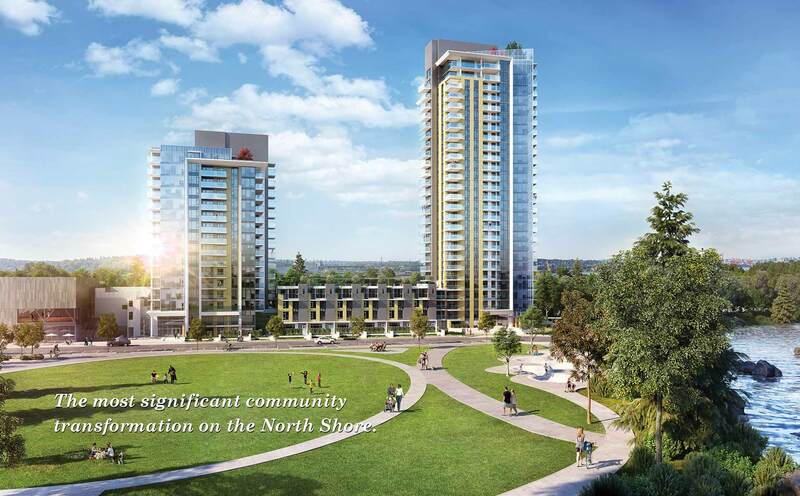 Lynn Creek has been designated as one of the District of North Vancouver’s newest official town centres – the community is undergoing a grand and ambitious transformation. At its heart is the Town Centre – a vibrant street where neighbours will come to shop, eat, gather, and enjoy the community space. The commanding social lounge is an expansive extension of your home. The beautiful private dining room with chef-inspired kitchen offers space for endless entertaining, while the chic built-in fireplace offers you a place to curl up with a book or watch the big game. The lounge flows out into the outdoor courtyard for warm days when the weather demands a barbeque. For a limited time only, Intergulf is offering 5% initial deposit (total of 15% deposit).